What are you to do when a couple who are both rugby fans support different teams? 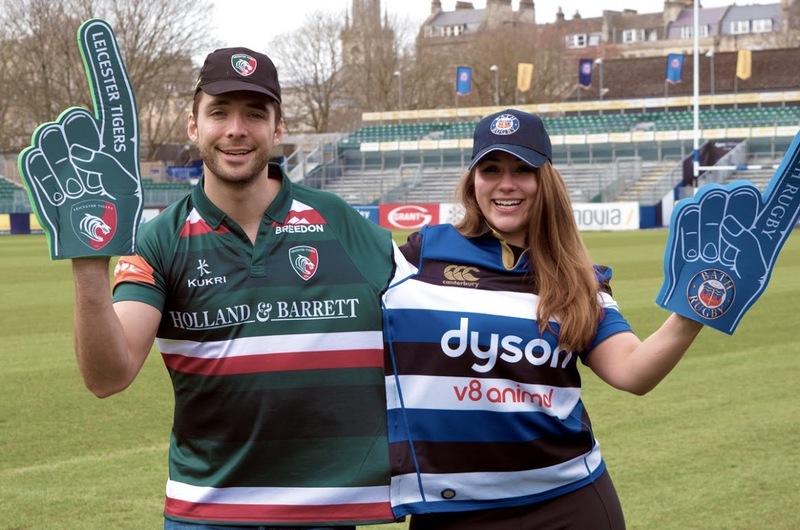 Well ahead of The Clash at Twickenham in April, Bath Rugby has created a new breed of rugby shirt for couples who want to enjoy the sport together, whilst one supports Bath and one supports Tigers. Two club shirts become one via strips of Velcro, allowing couples to get closer than ever during the game, however if tensions run high they can quickly detach themselves from one another. Bath Rugby is searching for one lucky couple to test the new shirt at The Clash versus Leicester Tigers at Twickenham on Saturday 7 April. With Bath Rugby’s new invention, two club shirts become one via strips of Velcro, allowing couples to get closer than ever during the game. However, if tensions run high, whether that be because a try was scored, or a penalty was given, they can quickly detach themselves from one another and avoid the inevitable clash of emotions. 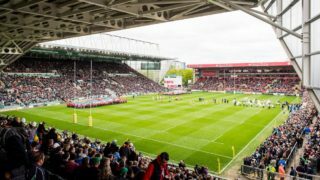 Bath Rugby is giving one lucky couple the chance to test the new shirt at its upcoming event, The Clash, at Twickenham, on Saturday 7 April, which will see their professional side face rivals the Leicester Tigers, alongside other entertainment and family activities. 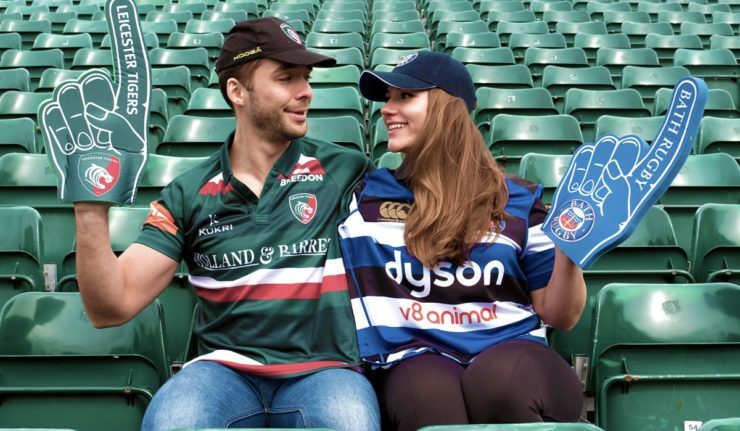 Bath Rugby encourages couples, where one supports Bath and the other supports Leicester Tigers, to submit a photo of themselves supporting their rival teams at last year’s Clash event, or another photo that demonstrates the rivalry between them on Bath Rugby’s social media, tagging them in at @bathrugby. The most unique photo will be picked by Wednesday 4 April 2018, and the winning couple will be gifted the new one-of-a-kind shirt to test at this year’s Clash event. The winner’s feedback on the shirt will be gathered after the game. Terms and conditions apply*. If the trial is successful it could see the club roll-out the Couples Shirt at The Clash 2019.